It all started in 2013 when James Wan started off with The Conjuring Universe. We’ve seen sequels to previous horror films, but to explore the world around a horror premise was something new even for Hollywood. James started with The Conjuring in 2013. Makers decided to give the film a spin off with Annabelle in 2014. 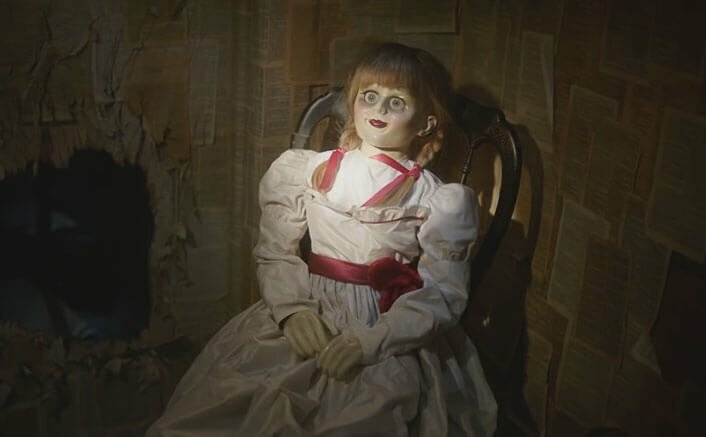 When James carried forward the story with the Conjuring series with The Conjuring 2, makers passed the director’s hat to David Sandberg for next part in the Annabelle series. Annabelle: Creation released at Indian box office last Tuesday lapping up the opportunity of public holiday (Independence Day). It’s on a miraculous run since then giving extremely tough competition to other releases. The film started by collecting 2.5 crores at the box office in its paid previews (3 days) till Thursday. It was expected to open on a lower note as back then Akshay Kumar’s Toilet: Ek Prem Katha was dominating the box office. Second reason being, it was released on very few screens considering they were special premiere shows. It started its ambitious run from Friday as it opened all across brilliantly collecting 5 crores on its 1st day. The film showed jump and collected 7.10 crores on its 2nd day. Sunday was expected to be big after such a blasting start. The movie amassed big as it collected 7.60 crores on Sunday. Enjoying a very good weekend of 22.20 crores, the film was steady as a rock on Monday too. It collected 3.85 crores on its 4th day which was better than the other releases of this week and last week’s retaining champion Toilet: Ek Prem Katha. Generally, after such a strong start and with such tough competition, a Hollywood biggie tends to slope down on weekdays. But, it’s not the same case with this horror flick. It collected 3.60 crores on Tuesday. Its 3.10 crores 1st Wednesday and 3.10 crores on Thursday. The film now stands with the total of 35.85 crores at the box office. The post Annabelle: Creation Has A Hit First Week At The Box Office appeared first on Koimoi.